It is said that there is a difference between listening and hearing. On this page we will share some audios that open our minds and our hearts. If there are audios that inspire you, please share them with us at audio@agenation.com. We will do our best to share them here with others. "The sound of a kiss is not so loud as that of a cannon, but its echo lasts a deal longer." This audio selection is from a Public Service Spot recorded by Broadway star and recording artist, Ms. Freda Payne. It celebrates what one can achieve in the second half of life..
Freda has starred in 6 Broadway plays including Blues In The Night, Ain't Misbehavin and Sophisticated Ladies. She has also had a distinguished music career touring with the likes of the legendary Duke Ellington, Lionel Hampton, Sammy Davis, Jr. and Quincy Jones. And two of her million selling singles, Band of Gold and Bring The Boys Home, are well know to boomers and elders. Freda is currently touring in A Tribute To Ella Fitzgerald. 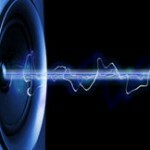 Please send audio files or links to audios that inspire you to audio@agenation.com. We’ll do our best to share them here with others.